Join us on Saturday November 10 at 3 p.m. where you will learn how to design a floral centerpiece. You will be provided all the materials necessary to bring fall happiness home with your own mini floral centeriece. 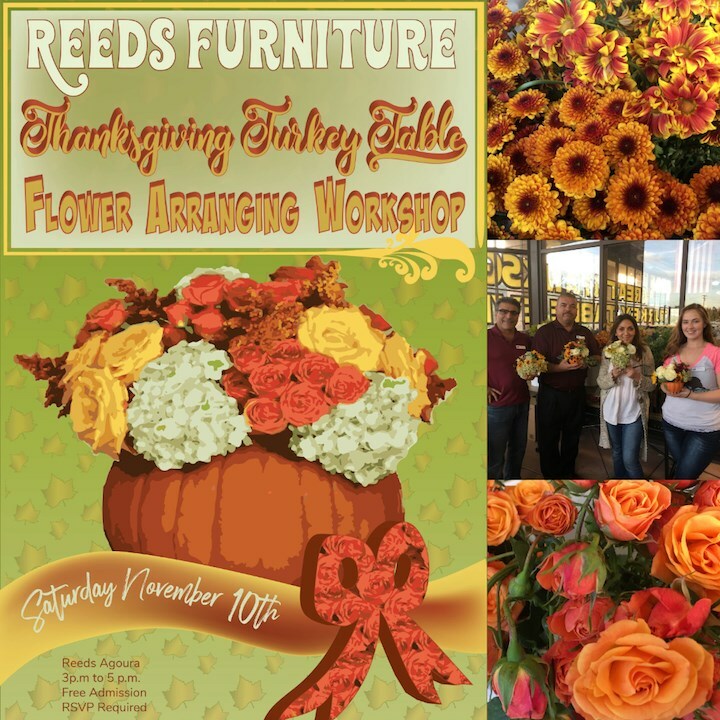 This event is free with the hopes of inspiring some fall floral happiness! Please RSVP on Event Brite to attend. Event held at Reeds Agoura.